Our original and best selling sweatband is what started us out with our Temple Tape line. The most lightweight moisture-wicking sweatband will leave you free of sweat without even realizing you're wearing something on your head! 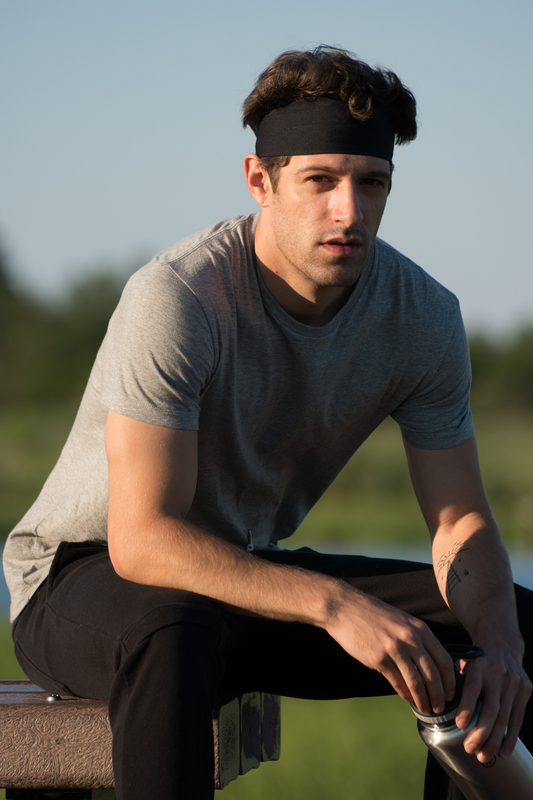 The Temple Tape Sweatband will keep you Dry and fresh underneath all your day-to-day gear. Whether it be a baseball cap, hard hat, helmet, or your mascot head, Temple Tape sweatbands are here to keep you dry! Temple Tape sweatbands come in 9 different colors that can match and blend with almost anything you put over it. They keep the sweat out of your eyes and leave you with cleaner headgear at the end of the day. Temple Tape sweatbands are ultra-absorbent and have a fast drying technology that dries 8X faster than your average cotton headband. They will keep you cool throughout the day and assure maximum comfort in all activities from keeping your hair back while relaxing at home to playing ball to doing intense training at the gym. Never worry about sweat getting in your eyes again! When Running a marathon, riding a bike, doing Yoga, Crossfit, practicing MMA, working out or playing sports YOU WILL SWEAT A LOT. We made sure Temple Tape Sweatbands can be rung out when full, and become almost completely dry (our sweat bands dry 8x faster than cotton) and ready for more without loosing shape or size in just a few seconds. With the Temple Tape sweatband, we promise you that you can work out without worrying about your hair or sweat getting in your face. Our moisture-wicking technology is 8x more effective than an ordinary cotton sweatband, so it’ll last you all workout without feeling soaked. The specially blended material dries faster than regular sweatbands, so all you need to instantly dry the Temple Tape is ring it out and its good as new! The Temple Tape Headbands are suitable for pretty much any activity; from an intense session of Pilates or an hour long Spinning class, to biking or taking a long hike on a sunny day. We are so sure you will love your new Temple Tape Sweatbands so much that we are offering a money back guarantee. If you are not satisfied with the performance of our Sweatbands, we will issue a full refund of the purchase price (not including INTERNATIONAL shipping) within 30 days of purchase.